HomeWomenBrian Conley: Strictly Come Dancing was terrifying! EDITORIAL USE ONLY. 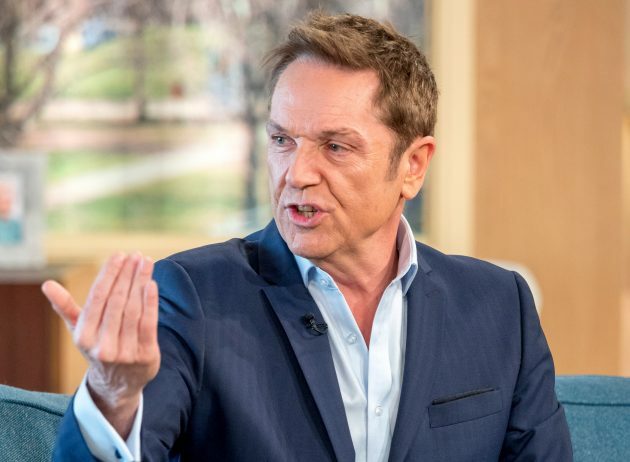 NO MERCHANDISING Mandatory Credit: Photo by Ken McKay/ITV/REX/Shutterstock (9458611au) Brian Conley 'This Morning' TV show, London, UK – 14 Mar 2018 Its not a puppet – its Brian Conley! Hes the funny man who has been keeping audiences at the edge of their living room seats for 45 years and now hes packing up his van and taking the show on the road for his UK tour Still The Greatest Entertainer – In His Price Range. Making sure hes a tough act to follow, hes telling us about the famous comedian he always gets mistaken for and reveals which family member working behind the scenes on Strictly just might have been his bad luck charm. The comedian, singer and actor is hosting a new C4 show, Buy It Now, which showcases ingenious inventions. He tells us whats in store and talks Strictly dance-floor terrors. Youve got 90 seconds to pitch to an audience of 100 people. If they decide to buy your product, a panel of big retailers also get the chance to snap it up. I loved the simple things. One guy had created a pair of unbreakable sunglasses. I dont know what he made them out of, but when I stamped on them, they were indestructible! Did any demonstrations go wrong? How was your Strictly experience last year? Wonderful, but its also the best laxative in showbiz! Knowing that 11 million people are about to watch you dance live is terrifying. What did your daughters, Amy, 20, and Lucy, 16, think about you on the dance floor? They loved it. Amy is studying in Australia. My family and friends wanted to come to the studio every week, but contestants only get two tickets each, believe it or not! I just love being a dad, going on holiday with the family, walking my dogs. Im back touring at the moment. Making people laugh is such a wonderful honour. Brian Conley left Strictly after he was beaten by telly chef, Simon Rimmer. But while viewers at home were shocked by Brians departure, it turns out he didnt exactly leave the BBC show gracefully as the the 56-year-old reportedly went on a bizarre rant branding the studios a sh*thole. According to reports, the shows live studio audience were stunned as the comedian jumped on the judges table and shouted: They only spend £25 on the toilet. If that wasnt weird enough, he then claimed that judge Darcey Bussell is the horny one before allegedly going on to praise his brother Alan who is a floor manager on the show. The post Brian Conley: Strictly Come Dancing was terrifying! appeared first on Woman Magazine.